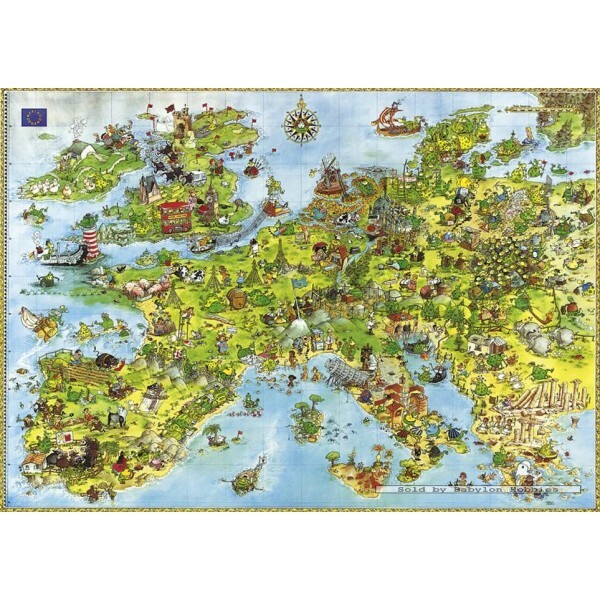 A 4000 pieces jigsaw puzzle made by Heye (reference 08854). Size: 96 x 136 cm (= 37.8 x 53.5 inch). 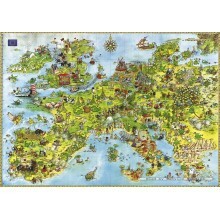 A jigsaw puzzle made by Heye and available to buy here at Babylon Puzzles. It's known at Heye with reference number 08854. Official name is "United Dragons of Europe". It consists of 4000 pieces and weighs 2145 grams in the box. Once assembled this puzzle measures 96 x 136 cm (= 37.8 x 53.5 inch).